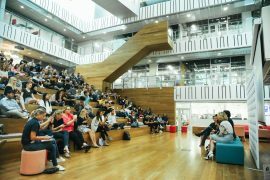 On Thursday August 10, the QUT Business School hosted the second ever BLT: Business Leaders’ Talk! It was a lovely afternoon, hearing from alumni and enjoying Brisbane’s mild winter on the Kidney Lawn. The diverse backgrounds and experiences of the three speakers and MC Tyson Young were enlightening. Carly Brown, founder of Une Piece, graduated from QUT with a double degree. From humble beginnings working at Harpic Toilet Cleaner, her career spanned many global brands – Revlon, UBER, Coke, Domino’s. Carly’s journey reassured me that it’s OK to not know where your future is headed as the things you learn now in class, at work, wherever, will eventually fall into place. Her work experiences and involvement in all sorts of side-hustles gave her the knowledge and confidence to launch her own business. Stewart Glynn, currently an Investment Manager at Transition Investments and River City Labs, graduated from QUT with a banking and finance background. He managed to nab a job at General Electric, before moving on to a role at KPMG. Stewart encouraged us to take advantage of the opportunities available to us as university students – you know, the ones other than parties! His biggest regret during his time at QUT was not seeking out an internship. As a graduate, he says that there is no excuse to not have one. 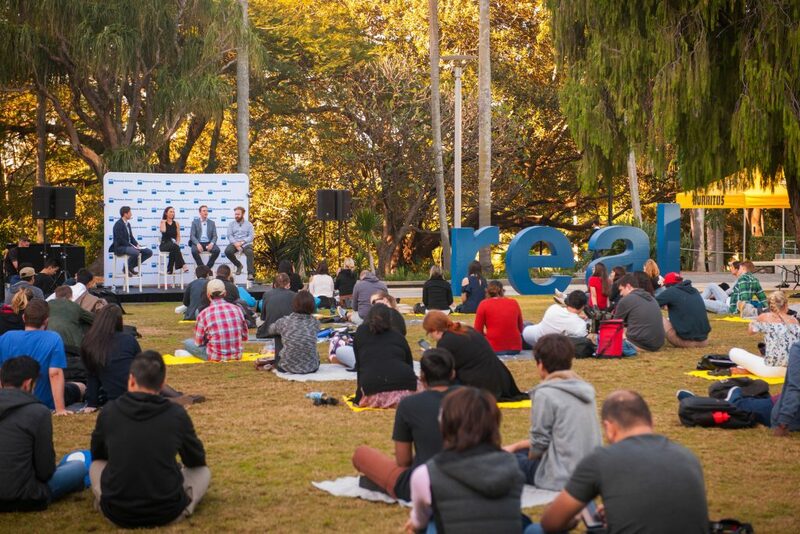 Sam Hussey, CEO of virtual and augmented reality experiences company Lightweave, didn’t follow the traditional pathway to university. Even as a child, he was never discouraged from chasing what he wanted, endlessly cold calling film producers until they caved and gave him a camera to point and shoot. His wide variety of other work experiences and studies at QUT lead him to where he is today. It’s clear to me that once you have your foot in the door, the world is your oyster. From well-known global brands, to forming your own business, or helping others start theirs, there are a wide variety of jobs out there. My takeaway from the event is that ‘no’ means ‘not now, and not in this way’. Speaking of takeaway, you can’t say no to a free burrito! So I’ll see you at the next BLT!